Thank you Joe for the pleasure of this interview. Could you please tell us about you book, Opening Day. Opening Day is the second in the Matt Davis Mystery Series, and is set in Roscoe, NY, a small fishing village where I used to be a fly fishing guide. Matt Davis is a former NYPD homicide detective who has taken early retirement following a near-death experience on the job, and has taken a relatively laid-back position as Chief of Police of a three-man department. While out fishing on the opening day of trout season, he stumbles across the badly deteriorated body of what turns out to be a young woman. The body is unclothed; there is no physical evidence or apparent motive; and the victim’s identity is unknown. As the story unfolds, readers are introduced to three different young women at a time prior to the murder, any one of whom might be the victim. Their stories are interwoven with the ongoing events and investigation, until eventually two are eliminated, leaving the remaining woman as the victim. Suspects are numerous and diverse, and murderer’s identity is not revealed until the final chapter of the book. Were there any scenes you found more challenging to write than others? The most difficult scenes to write were those that introduced possible suspects. I wanted to give readers clues, but none so obvious as to actually give away the identity of the murderer. They were a real challenge. Is there a character in your story you are partial to? Please explain. I am most partial to two characters: Matt Davis, the Chief of Police, and Frank Kuttner (based upon an actual person, a friend of mine who permits me to use his real name and character in all the books of the series). How long did it take you to write, Opening day? Opening Day took approximately a year to write. 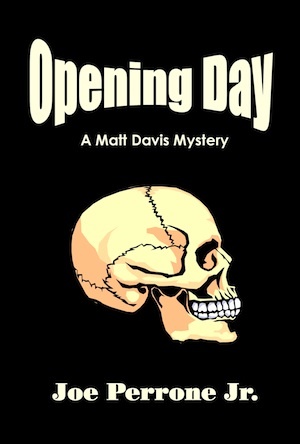 After I published Opening Day in 2010, I wrote the third Matt Davis Mystery, Twice Bitten, which I published in January of this year. I’m now writing the fourth Matt Davis Mystery, Broken Promises. When that is finished, I will resume work on a literary novel I began about six years ago, entitled Changes, which is about a man struck by lightning and the conflicts arising as a result of his experience. Aside from the obvious requirement of producing a good, solid book that readers want to read, I believe it mostly boils down to a lot of very hard work. This involves editing, cover design, and promotion, through networking, word-of-mouth, and paid advertising. I also believe it is critical to keep writing and developing your “brand” or identity as an author. The more work you have out there, the better chance of developing a following and of selling lots of books. Be patient, don’t get discouraged, and don’t be afraid to take chances. This includes exploring every possible opportunity to promote your work. Most of all, hone your craft and develop your own unique style. Develop good work habits, such as scheduling a portion of each day to write, part of which should be devoted to editing and re-writing what you’ve written in your previous writing session. Also, now more than ever, if you’re a self-published writer, it’s imperative to network. Fellow authors and readers are the best allies you can have. Treat them with respect, and always be willing to go the extra mile to help other authors. Last, but by no means least, if you’re a writer of fiction, learn how to write effective dialogue; without it, you might as well be writing non-fiction. I have a number of favorites, among them are William Goldman, Truman Capote, and Harlan Coben. Is there part of the day you feel most inspired to write? Without a doubt, I prefer to write very early in the morning, often as early as 4 a.m. Otherwise, I try to write after breakfast on most days. However, I want to stress that the best time for me (or anyone, for that matter) is whenever I really feel like writing. It’s important to at least “try” to write every day, but for reasons that only writers will understand, that is not always possible. So, if the spirit moves you, write! Joe Perrone Jr. worked as a sportswriter for the Passaic-Clifton Herald News in New Jersey, as well as a freelance advertising copywriter. 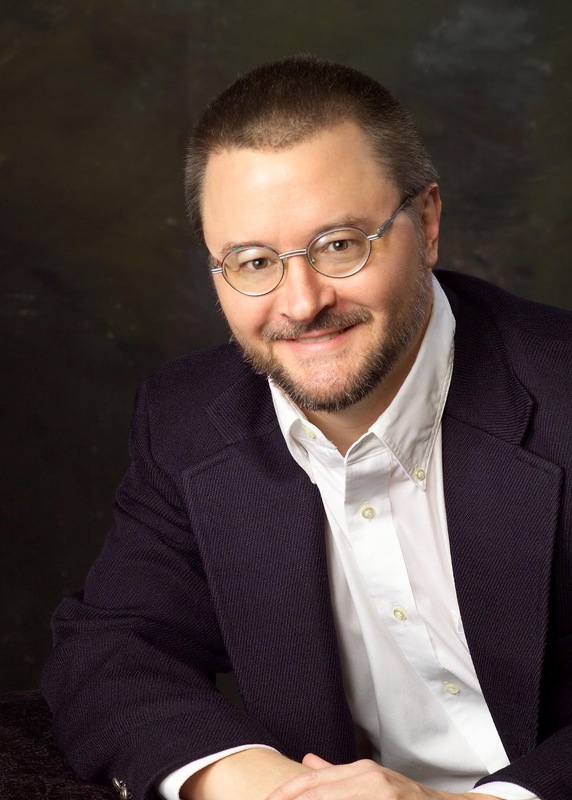 He is perhaps best known for his Matt Davis Mystery Series, which includes As the Twig is Bent, Opening Day, and Twice Bitten (published in that order). Opening Day was recently awarded an Indie B.R.A.G. Medallion. Joe’s first novel, Escaping Innocence (A Story of Awakening), was published in 2008, and is an evocative coming-of-age novel set in the turbulent ’60s. 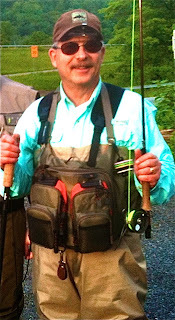 In addition to his four novels, Joe has authored two non-fiction works, A “Real” Man’s Guide to Divorce (First, you bend over and…), published in 2009 and Gone Fishin’ with Kids (How to Take Your Kid Fishing and Still be Friends), co-authored with Manny Luftglass, and published in 1997. As The Twig Is Bent was translated into Portuguese as Pau que nasce torto in 2011 by Rafa Lombardino of Word Awareness, Inc. of Santee, CA. Plans are underway to also translate Opening Day and Twice Bitten in the very near future. Joe was a professional fly-fishing guide for ten years in the Catskill Mountains of New York, and has had several fly-fishing short stories published in the Mid Atlantic Fly Fishing Guide. Both Opening Day and Twice Bitten are actually set in Roscoe, NY, the small Upstate New York fishing village where Joe was a guide. He is currently at work on a fourth Matt Davis Mystery, Broken Promises, which is scheduled for publication in early 2013. Joe’s future plans include completing a literary novel, entitled Changes, an examination of the life of a man who is struck by lightning and the resulting conflicts he must resolve within his circle of family and friends. The book was begun in 2006. All of Joe’s books are available in paperback or in Kindle editions on Amazon.com. Joe lives in Western North Carolina with his wife, Becky, and the couple’s two cats, Callie and Cassie. He enjoys fly fishing, cooking, music, and of course writing. Joe also enjoys interacting with his readers, and can be reached with comments and questions via Email at: joetheauthor@joeperronejr.com or by visiting his website at www.joeperronejr.com. We are delighted that Stephanie has chosen to interview Joe Perrone who is the author of Opening Day, one of our medallion honorees at http://www.bragmedallion.com. To be awarded a B.R.A.G. MedallionTM, a book must receive unanimous approval by a group of our readers. It is a daunting hurdle and it serves to reaffirm that a book such as Opening Day merits the investment of a reader’s time and money. Michael, please tell us about your book, Riptide. I came up with the idea for Riptide pretty much by accident, when I was writing an e-mail to another author. I was spit balling far-fetched story ideas, and one of them concerned a woman who finds the diary of Jack the Ripper hidden in her cellar and realizes there may be a family connection. After typing a few words about that, I sat back and thought, “Actually, that’s not bad.” I strengthened it by adding the idea that the woman’s emotionally troubled brother may be re-creating the Ripper’s crimes in the present day. I set the story in Venice, California, which of course posed the challenge of trying to explain how a killer from London’s East End could wind up on the West Coast of America. The story was a little different from some of the others I’ve done–a little higher concept. I thought it worked out well, but when I tried to sell it to traditional publishers, I hit a wall. Although I had published twenty previous novels, by the time my agent submitted Riptide the publishing industry was in disarray, and it was very difficult to sell a work of fiction unless people thought it was the next Da Vinci Code. Eventually I decided to self-publish the book, not expecting it to sell many copies, but mainly just wanting to get it into print. As things worked out, the e-book edition sold extremely well, as have the digital editions of my other titles. At this point, surprisingly enough, I’ve become one of the bestselling e-book writers in the United States, with about 1.1 million ebooks sold so far, and I’ve even hit the New York Times and USA Today bestseller lists. It’s a whole new world. Riptide looks like an intense read. Was there any scenes you found challenging to write due to the subject matter? Well, I’ve been writing this kind of thing for a long time now—I wrote my first thriller, a horror novel, in 1986—so I’m pretty much accustomed to the challenges posed by rising action or suspense scenes. The research required to do the historical flashbacks was an unusual feature of Riptide, and probably the aspect of it that I enjoyed the most. The most challenging thing was trying to make the central character, Jennifer Silence, interesting and relatable. Some characters come together very easily, and others come together only with great effort or not at all. I’m not sure Jennifer ever came to life as fully as I would have liked. Sometimes it just doesn’t happen the matter how hard you work at it. Riptide went through quite a few drafts over a period of about three years, but I wasn’t writing it continuously throughout that time. The actual writing may have taken a year or year and a half–it’s hard to say. I revised it extensively before self-publishing. I changed the ending and rewrote or added many scenes. What is the most surprising thing you learned in creating your story? The various facts I learned about Jack the Ripper surprised me. The Hollywood version of his crimes is not very accurate. His victims were not young, beautiful women but mostly older, badly malnourished, and alcoholic. He does not seem to have shown any particular surgical skill. Most—possibly all—of the postcards and letters attributed to him were hoaxes. The nickname Jack the Ripper was probably a hoax and not the killer’s name for himself. There were also many small details that I found interesting. For instance, the first sneakers were invented by the London police. In an effort to dampen their footsteps and make it easier to sneak up on Jack, they attached strips of rubber to the soles of their boots. After Riptide, I wrote Grave of Angels, another novel set in Los Angeles. Grave of Angels features a security consultant specializing in celebrity protection, whose most troubled client, a teenage star, is abducted by a homicidal psychopath. The book was picked up by Thomas & Mercer, a division of Amazon Publishing, and comes out on August 7. I’ve always been a big reader. Even as a small child, I tried writing a “novel” about a couple of birds who are captured and put in a cage and must arrange their escape—twenty-five pages of big, childish handwriting in block letters. I read a lot of science-fiction and pulp fiction when I was growing up–Isaac Asimov, Ray Bradbury, Arthur C. Clarke, and Edgar Rice Burroughs’ Pellucidar series, as well as the Shadow and Doc Savage. I went through an Ayn Rand phase in college. Later I became interested in thrillers and horror fiction–Ken Follett and Stephen King were two of my favorites. At a certain point in my adult life I decided to brush up on the classics and devoted a lot of time to reading ancient literature, such as the Greek tragedies and epics, the Bible, and the epic of Gilgamesh; I also read the plays of Shakespeare and other major works of English literature. These days I mainly read nonfiction and the occasional classic. From a practical standpoint, Stephen King’s early horror novels like Cujo and The Shining had the most influence on me because they inspired the horror novels I wrote at the beginning of my career. I think it’s helpful to get professional feedback, if possible. A freelance editor can greatly improve your work. An experienced proofreader or copy editor can also make a big difference. I’d advise creating the best cover art you possibly can; if your Photoshop skills are limited, hire a pro to do it for you. The same holds true for formatting. Just because an e-book or print on demand book is self-published, it doesn’t have to look amateurish. I’d also advise promoting the book on Facebook and in Amazon.com’s Meet Our Authors discussion forum. These days the stigma of self-publishing is rapidly disappearing. Rather than spending a lot of time and effort trying to obtain a literary agent and then a traditional publisher, you might be better off going the self-publishing route. If your self-published books find a big enough audience, agents and traditional publishers will be contacting you. Born in 1960, Michael Prescott grew up in New Jersey and attended Wesleyan University, majoring in Film Studies. In 1981 he moved to Los Angeles, where he wrote scripts for independent producers and worked as a magazine freelancer, archival researcher, and editor. In 1986 he sold the first of five horror novels, then moved on to suspense novels, some of which appeared under the pen name Brian Harper. Praised for “brilliant elements of psychological horror” (Publishers Weekly), Prescott ‘s novels have sold more than one million copies in print editions, and have found a new audience among ebook readers. At last count he had sold more than one million ebooks, making him one of today’s bestselling ebook writers. We are delighted that Stephanie has chosen to interview Michael Prescott who is the author of Riptide , one of our medallion honorees at http://www.bragmedallion.com. To be awarded a B.R.A.G. MedallionTM, a book must receive unanimous approval by a group of our readers. It is a daunting hurdle and it serves to reaffirm that a book such as Riptide merits the investment of a reader’s time and money. Thank you Michael and indieBRAG for this lovely interview. A Pirates Quest is the beginning story of 16 year old Tess Willoughby, a world sheltered yet intelligent daughter of a Doctor in 1717 London. Through a series of unpredictable events, Tess comes into the possession of a collection of rings called Spinners and she is drawn into a destiny that she may not have wanted and definitely did not expect. 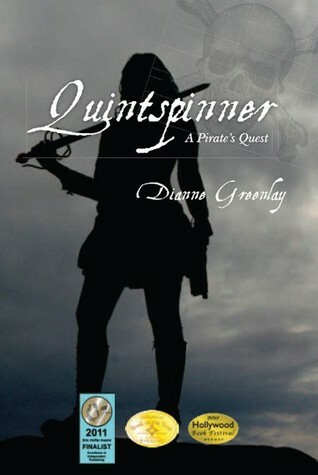 This book is a mixture of light and dark, funny and serious, originality and predictability, farmers and pirates. Right when you think you have a grasp of what it’s going to be like, some big and unexpected event will sweep you along further into the story. Overall this book was a fun ride with an appeal for young adult and adult audiences. The writing style, while a bit simplistic, is easily overcome by the intrigue of the story. The story does fluctuate between predictable and unbelievable and the characters were a bit unpolished, but this was a wonderful debut novel to just kick back and relax with over the weekend. I rate this book 3 and a half stars. This book deals with the story of the Irish Independence and the formation and activities of the IRA and effectively brings out divided personal loyalties in the bigger picture of political unrest. The time period has been well researched and the characters fit well into the background. 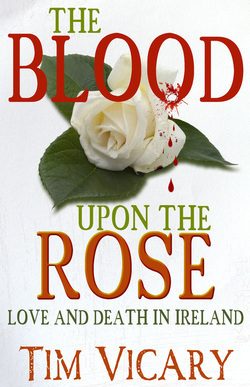 The feel of Ireland in the 1920s is very strong, and is the mainstay of the entire book. The despair of the local people, the determination of the British authorities to stamp out Irish nationalism and the anger of the IRA in dealing with such high handedness is very realistic and interesting. The characters are well etched out and the middle of the book becomes very interesting as the plots start to twist and turn and the characters get more complex. The book was suspenseful and kept me wondering what was happening next. Until the very finish, there was no indication of how it would end. The love story fits snugly into the background and flows very naturally. However, on the downside, there were some clichéd stories. The war torn assassin, the radical idealist who is in love with a rebel girl, an aristocratic girl rebelling against her destiny are all ideas that have been explored before countless times, but the author manages to breathe fresh life into them. At some points in the story, there is a show of misogyny that could have been avoided. I give this book a 3.5 of 5 stars. This is highly recommended for anyone interested in a fictional depiction of the background of the Irish – English conflict in the last century. “Open the pages of Carolina Rain and step on to the streets of an era gone by. 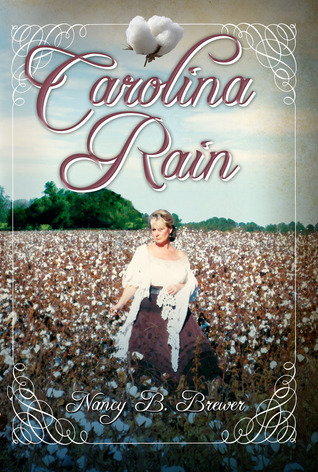 Carolina Rain is not just a read, but an experience. You will smell the magnolia trees, feel the sun on your face and taste the bittersweet tears of a beautiful young girl coming of age at the dawning of the Civil War. Theodosia Elizabeth Sanders, “Lizzie” was born October 6, 1842, but in many ways, she is no different than a modern young woman of our era. Her open heart is filled with hope and a desire for love. Yet, her innocence makes her a target for the less than trustworthy. See how this remarkable young woman rises above all prejudices to embrace the hearts of her true friends. Carolina really touched home with me. Not only because of the subject matter but because I feel so connected to Lizzie. She is Southern, loves her family and friends, she never gives up, she cares deeply about helping others and loves the South. Nancy truly has captured the essence of the South and the way of life during the 1800’s. I felt as if I was transported in time and experienced the 1800’s for myself. The character building is so strong I believe there is not one character I dislike, even the unsavory ones. I’m really looking forward to the next book in this series. 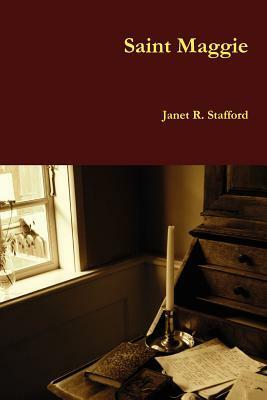 Saint Maggie, by Janet R. Stafford, is an intriguing story of scandal with believable and colorful characters. This Antebellum Period piece introduced many controversies that continue to be relevant to this day: woman’s rights, race relations, controversies in the church, and how society responds to life events. The main plot of the story is the scandal of a minister and the effects of the scandal on the towns’ people and their faith. In addition to the main plot, various subplots were introduced that enriched the story and increased my interest in the characters. Ms. Stafford, wrote on the relations between African Americans and whites during the Antebellum Era including the Underground Railroad, abolition, and prejudices. In addition, Ms. Stafford briefly touched on the beginnings of the woman suffrage movement in the US. Ms. Stafford weaves a story where well developed characters give life to the story. Maggie, the main character and narrator of the story, is an independent woman that struggles with social conventions. Through her eyes and journal we learn of the many other characters in the book: Jeremiah Madison, the young local minister that is defeated by his demons and becomes the scandal of the town; Eli, Maggie’s supportive and spirited Quaker husband; Emily and Nate, Maggie’s dear African-American friends; the rest of Maggie’s family from her strong and intelligent daughters to her spoiled niece and pompous then humbled brother; Cassie, the troubled maid with a checkered past; and the ‘outcasts’ of the boarding house. Cassie was for me the most intriguing of characters with the limited development of her checkered past, I will certainly look more into antebellum Five Points, NYC to learn more of the lives of the people inhabiting the area. With regard to style, Saint Maggie is a fiction work with a story that flows well excepting the few segments that included a great deal of scripture quotes, I found the quotes redundant and distracting from the point of the storyline. The descriptions are well detailed. The dialogue varied from comical to dramatic with additional insights to the story via Maggie’s journal. The diction was contemporary with some hints to the Antebellum Period that were shown in descriptions of mannerism and the dialogue between characters. 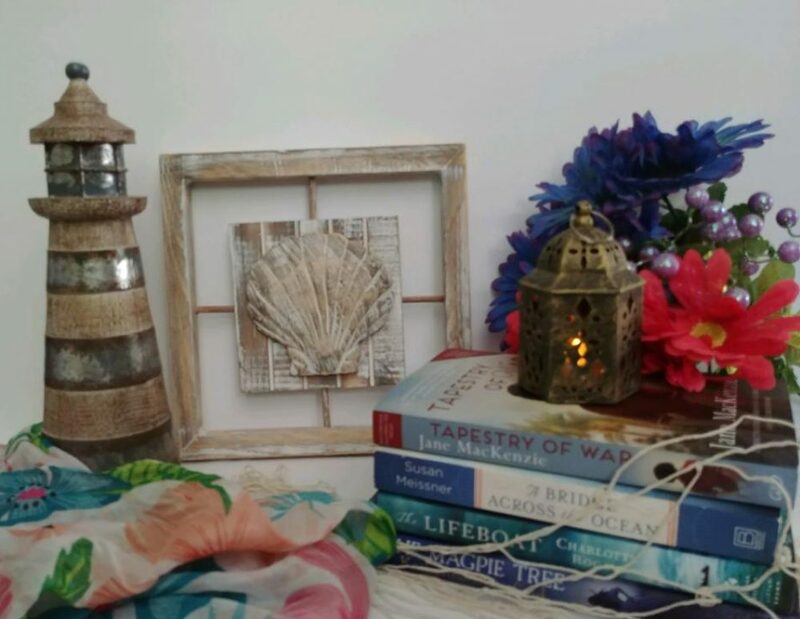 The book has a rather simple cover design, an image of books, a candle and a desk, that didn’t necessarily paint a picture to what the story is about. With regard to the layout, there is no table of contents, which I think the book would benefit from since there is a reference/definition section at the end of the novel that is helpful to a reader with limited knowledge of Christianity. Overall, I greatly enjoyed the book and would recommend it to others. In the future, I will look for more pieces by this author. Rated four and a half stars. 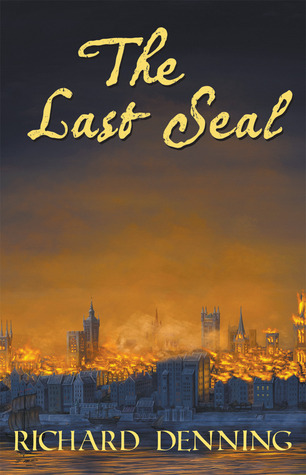 The Last Seal, a YA novel blends historical fiction with horror and fantasy. This unusual combination produces a fast paced thriller where the protagonist wrestles against Dantalion, the sinister demon. This enemy of heroic proportions seduces followers with the promise of limitless riches and power. The admission price? Only their immortal soul. After a gruesome opening, the story unfolds with plenty of twists, turns, red herrings, and gore. Ben Silver an orphaned, angst-ridden teen makes an excellent protagonist against this formidable adversary. In early September, 1666, after a particularly humiliating caning by the headmaster of his boarding school, Ben decides to run away. His escape places him in a vortex of danger, intrigue, and confusion. He encounters a young thief, a bookseller, and a physician and struggles to determine who is friend and who is foe. I particularly enjoyed the character of the thief and how Ben comes to rely on the youth’s hard-scrabble skills, ingenuity, and determination. The Great Fire of London provides a vivid backdrop of tension. As the conflagration inches closer, the stakes increase. The heat, smell, sound, and taste of the fire thrum with heart-hyping tension. Difficult circumstances force expedient choices. Denial, fear, wishful, thinking and fanaticism cloud judgment. Will the legacy of evil defeat the legacy of integrity? Will Ben make the heroic sacrifice? Or, will he too fall under the demon’s spell? Read the Last Seal to find out. 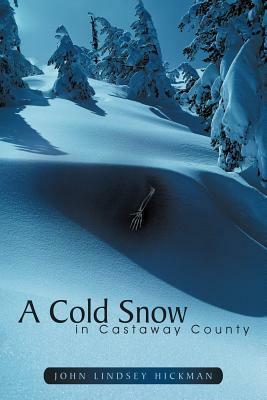 A Cold Snow in Castaway County by John Lindsey Hickman is the quintessential murder mystery mixed with a dose of life learned lessons. Dell Hinton leaves the Boston PD for the quite forests of Castaway County, Maine. His old friend and the local minister convinces him to run for the position of sheriff. Dell quickly learns that being a sheriff is a great deal different from being a police officer. He inherits more than just a fiery secretary and a department full of deputies, Dell also inherits a ten year unsolved murder case. Hickman creates a quick read story that jumps from murder mystery conspiracy theories to the love life of a man who is learning to become a county sheriff. Hickman creates characters that are easy to understand. The reader will know about the characters likes and dislikes. A Cold Snow in Castaway Country has a plot that will leave the reader wondering if Dell will ultimately solve the cold case. While there were some slow parts in the story that I felt did not support the overall plot, but I know that Hickman wrote the story so that the reader really knew the life that Dell Hinton was building for himself in Castaway County, Maine. I thought he did a great job of bringing the reader into the cold case. Hickman made me want to keep on reading to find out if Dell will help put the Billy Snow murder case finally to rest. Josephine Lingenfelter or “Jo” to her friends is a mechanic and horse breeder, but somehow she and her boss Steve end up in the middle of a murder and start investigating to find out who killed their friend. The book takes them to Mexico, London, Russia and Italy and throughout their investigation Jo and Steve are admitting they’ve fallen in love with each other. I enjoyed the book, even though I would have liked more dialogue. There was too much description of everything, which slowed the story down, and quite often a similar description was repeated a few pages later. This was the second book in the series and since I didn’t read the first one, I didn’t feel as if I really got to know the characters. There wasn’t enough back story since it’s assumed that the reader already knows about them. There were several spelling mistakes that were distracting at times, but overall I liked the book. I liked the premise of this book, with or without the small amount of a paranormal aspect, and it was a quick read. Unfortunately, there were way too many characters introduced throughout the book and too many points of view to really be able to care about any of the characters. I spent a lot of time trying to remember who everyone was and how they fit into the story. For example, the author introduced character names without any explanation as to who they were, until much later in the story. This led me to back track in the book and try to find where this character had been initially introduced, and in most cases I was unable to find an introduction. I believe the author’s intention was to have Kaya be the center character, but there wasn’t enough information about her, and her thoughts and feelings to give her center stage. By changing the point of view, especially mid page, I was unable to learn enough of her thoughts and feelings to care about her, or anyone else. A limited number of characters, and different points of view restricted to chapters rather than mid chapter, might allow for a more consistent story. A lot of Deus ex machina was used by the author, so there was no real struggle, as every problem automatically had a solution through some kind of divine intervention. When Kaya struggled with something, or was faced with challenge, she either had a vision, she all of a sudden could speak to her deceased father who gave her the answers, or someone automatically showed up to save her. The conflict in the story was lacking since every issue was resolved quickly and easily. As a reader, I like having that edge of your seat feeling, waiting to see what might happen, but half way through the book, I knew I wouldn’t have that since every issue had an automatic intervention. I wasn’t anxious to turn the page and see what happened next since I already knew it would be resolved in a sentence or two. Some of the chapters didn’t have a time frame, and I was unsure as to when the event was really happening. Were we in the past, present or future from the previous chapter’s events? If the event order is important, then the reader should be told exactly when it was happening to avoid confusion. The events weren’t really believable, even within the paranormal framework. The author didn’t do enough world building to make me believe that this could truly be happening. There wasn’t enough background information and detail on past events for the extremeness of the book. For example, when and how did PARR become so big that they had the right to execute people for listening to Rock and Roll? There may have been a sentence or two about it, but that was it, and since listening to rock and roll is hardly an executable offense, there needs to be a detailed reason for it, or at least a detailed build up of how it came to be, even if there isn’t a good reason or excuse logically. Another example, somehow Kaya and LUPO have a ton of money to use to fight this cause, although the reader has no idea how or where it came from. They just have it to do with what they please. Do they have corporate backers? Is Kaya independently wealthy? These are just a few of the things that make this story hard to believe. There were enough grammatical errors in the book to be distracting. Missing words, tense issues, and spelling were the biggest examples. This book has a lot of potential, and the premise was very interesting, given the fact that we spend a lot of our time, in the real world, fighting for specific rights. With more world building and character development, I’d really like to see more of Kaya and her group of rock and roll advocates. Donna please tell us about your book, Peanut Butter For Cupcakes. Hi Stephanie! Thank you so much for the opportunity to share my book with your readers. Peanut Butter For Cupcakes is the true story of my Grandfather, Oliver Nordmark, and his struggle to raise his six children during The Great Depression after the sudden and tragic death of his wife Estella. 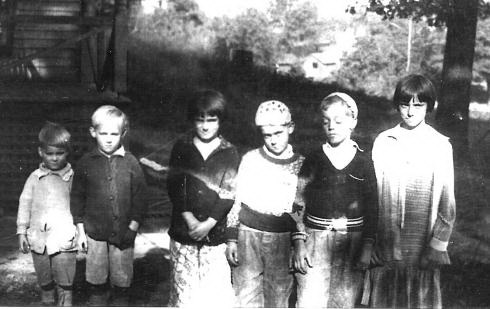 May, Bud, Oliver Jr, Margaret, Jim and Benny are all under the age of 10 as the story begins. With their mother gone, they will learn their life lessons from their Dad, who never had a real parent of his own – having been orphaned at age six. It is a social history of this very difficult period in America and puts a real face, specifically on the children, of that era. It is also a testament to the perseverance of the human spirit and proof that “boys will be boys” regardless of money, possessions or position – or the lack thereof. Although rightfully sad at times, there are also many lighthearted moments and tales of shenanigans that will have the reader laughing along and perhaps recalling similar hi-jinks of their own! The story ends in 1940, however there is an epilogue for each character so that the reader is not left with unanswered questions. Did you face any challenges researching for your books? Research for Peanut Butter For Cupcakes was not a challenge per se, however it did take a bit of time. This book is written based on many hours of recorded oral history obtained from Oliver’s surviving children and there were many references given to the happenings of the day. For example, Oliver’s oldest son Bud joins the CCC (Civilian Conservation Corps) at 17 and travels to New Mexico to work in one of their camps. I researched to verify that indeed the CCC – one of many programs established as part of Roosevelt’s “New Deal” actually had a camp in NM at that time. There were many such reminiscences that needed to be researched and verified to keep the story factual. Amazingly, I found very few variations from the stories that Oliver’s children – now in their 80’s – remembered. The difficult times of the 1930’s have left indelible marks on most Americans who lived the struggle. Your story takes place during the late 1920’s. How does that time period appeal to you? This story begins just prior to the stock market collapse of October, 1929 and continues until 1940. I grew up listening to my father, Oliver’s youngest child, telling the stories of his childhood and marveled – especially as I grew older – at just how difficult childhood really was at that time yet my father spoke of fun and adventures with his brothers as though it was all very normal. To him, it was. Shooting his .22 rifle down the cellar steps to kill the rats that lived there, keeping adult sized galoshes tied onto his brother’s feet with rubber bands because he had no shoes of his own, making snow skis from old barrel slats to play in the snow….all that and more seemed so foreign to me. I would often wonder if I could have found similar joy dealing with so many hardships. Is there anything new you learned about the Great Depression while writing this story? Absolutely! I knew nothing of the tuberculosis sanatoriums where people, young and old, were sent when it was suspected that they might have TB. Two of Oliver’s children were removed from their home for a time, simply because they were small and thin which possibly indicated TB. I also learned more about the individual programs of the “New Deal” as well as the history of the New York Worlds Fair of 1939. Is there a message in your story you want readers to grasp? I think the message of Peanut Butter For Cupcakes is timeless. Your life is your own and although difficult and sometimes tragic things may come your way, it is up to you to decide to make the best of it and move forward making a better life for yourself and your family. Although Oliver and his children lived a “peanut butter” type of life….. plain, simple and without any extras…. they each grew to find the “sweetness of cupcakes” through hard work, love of family and faith in God. Oliver himself bettered his own life compared to his childhood. He was orphaned at age 6 and traveled west on an Orphan Train out of NYC at age 8 only to find himself separated from his young brother and living and working on a farm in Kansas. He never had the childhood he imagined and tried to make sure his own boys knew the joy of adventure. Incidentally, Oliver’s childhood years are the subject of my first two books which have enjoyed a bit of attention of their own including an option contract from a Los Angeles screenwriter. I spend a lot of time visiting schools and community organizations speaking about my books, the Orphan Train Movement, and The Great Depression. Only recently have I begun work on two new projects. One is a collection of stories illustrating the unique “normal” of raising a child with severe disabilities. The other is historical fiction for children about a Romani family (also known as Gypsies) living in the United States. I am very excited to be getting back to writing after a much too long hiatus. What do you think contributes to making a wcessful in self-publishing? I think the definition of “success” when it comes to self publishing, also referred to as indie or independent publishing, has to be determined by the writer. It will often mean different things for different people. Some writers just want to get their story in book form, hold it in their hand and feel that sense of accomplishment. Others will not feel successful until a certain number of books have been sold. Still others define success as having a huge presence on the web, tens of thousands of book sales, hundreds of 5* reviews, a potential movie deal, speaking engagements, and ultimately connecting with an agent who will take their book and sell it to a traditional publisher. That is a very broad spectrum. Regardless of how you define success, there are some things that must be in place. Number one in my opinion is a well written – WELL EDITED – manuscript. I cannot stress that enough. Invest in yourself and your work and have your book professionally edited. It adds much needed credibility. Additionally, self promotion is a must. For many writers, this is truly the most difficult part. Finding ways to promote your work and getting your book – and yourself – out there are what it will take to find success as a self published author. If you can find a way to tie in your book with a presentation/lecture, you can promote your talk followed by the opportunity for audience members to purchase your book. By way of example, I am invited to schools and senior communities to speak on the history of The Orphan Train Movement and then sell copies of my first two books, Fly Little Bird, Fly! and Beyond The Orphan Train. 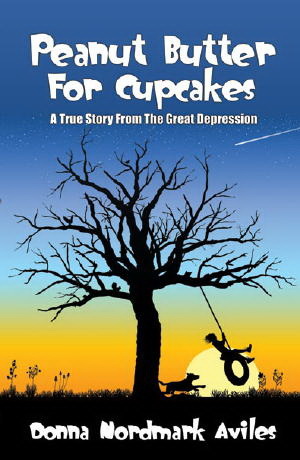 My talk on The Great Depression is followed by a book signing of Peanut Butter For Cupcakes. I have a friend who wrote a picture book about being a Nana. She promotes it at Grandparents Day in elementary schools. Finding a topic to speak on, in addition to the standard “What it’s like to be an author” talk, will give you a wider potential audience. I don’t have a favorite author, but love to read historical fiction and memoirs. I especially loved The Glass Castle and Angela’s Ashes. “Life is short; break the rules, forgive quickly, kiss slowly, love truly, laugh uncontrollably, and never regret anything that made you smile.” This quote is generally attributed to Mark Twain. In addition to the tips for success, my best advice would be to write from your heart about things that matter to you, develop a thick skin, remember to pay it forward, and most of all, believe in yourself and your work! 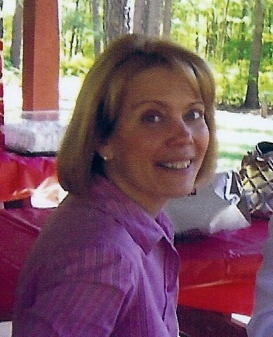 Donna Aviles lives in Pike Creek, Delaware. She has worked in several fields including foreign exchange, social services, and business. After raising three children, she returned to her early love of writing and published her first book in 2004. Donna is a member of the DE Humanities Forum Speakers Bureau, the National Orphan Train Historical Society of America, and a founding member of the Independent Authors Guild. Her books are read and enjoyed by older children and adults and have been used in 3rd-8th grade classrooms as well as by home-school families. She enjoys traveling throughout the U.S., gardening and teaching piano. We are delighted that Stephanie has chosen to interview Donna Aviles who is the author of Peanut Butter for Cupcakes, one of our medallion honorees at http://www.bragmedallion.com. To be awarded a B.R.A.G. MedallionTM, a book must receive unanimous approval by a group of our readers. It is a daunting hurdle and it serves to reaffirm that a book such as Peanut Butter for Cupcakes merits the investment of a reader’s time and money. Thank you Donna and IndieBRAG for this wonderful interview! The reason why I became a book reviewer was not only because my love for reading but because of my concerns for this age of immediate publication and the quality of the books that are being written and published. I fear that this will lower the reading standards of our future generations. I feel as a reader and a parent ,that we must filter out these poorly written books and find the gems! They’re out there but we must stumble over many to find them. One of the concerns I have is I’m seeing more and more stories that contain adjectives in front of almost every single noun. I find that it hurts the integrity of the story and distracts the reader. If the adjective helps the quality of the word, then fine. In my opinion a strong writer knows when to use the “perfect” adjective. Another issue I have with adjectives is the use of what I call, “cliche” adjectives. I find them useless and again it lowers the quality of the story. I hope that writers take what I say with a grain of salt , really consider my input as a reader and put it to good use. 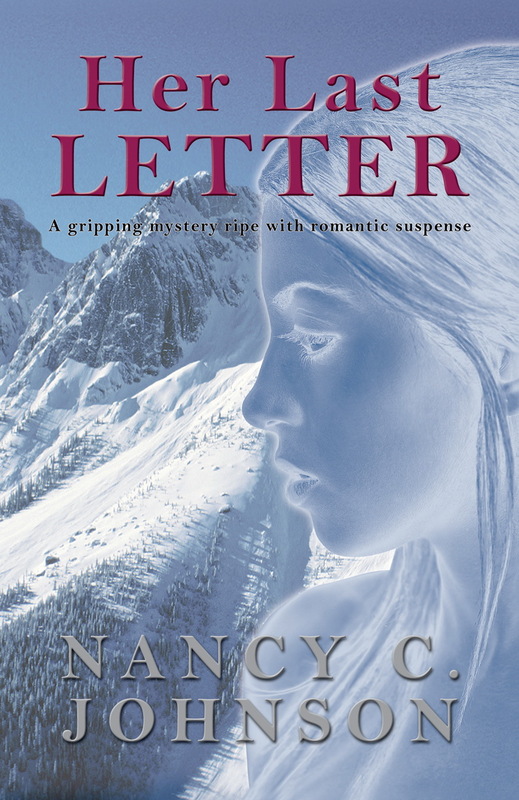 Nancy I read your story, Her Last Letter and enjoyed it very much. Could you please tell us a little about your book? Her Last Letter is my first published novel, though not my first novel. I wrote two novels previous to publishing this one. It is a romantic-suspense mystery, and the setting is Glenwood Springs, Colorado, near Aspen. In the story, Gwyn, an artist and photographer, finds a letter written by her youngest sister Kelly, murdered two years before. Kelly writes that she was having an affair with her sister’s boyfriend, and is scared for her life. Gwyn and her remaining sister Linda have since married their boyfriends. Gwyn hires a private detective to find out the truth, stirring up old secrets and new danger…. After trying for many years to get traditionally published, I decided to form my own publishing company, and published Her Last Letter. I wanted the years I’d spent writing and hoping to come to something, to at last see my words in print, and to hold my book in my hands. My daughter is a graphic designer and my son-in-law works in the printing industry, so I knew together we could make it happen. I was determined to get my book in front of readers. Finally, I did! I would say the ending gave me the most problem. The original ending to my novel did not end up in the book. It just didn’t seem exciting enough to me. It wasn’t bad, just not quite good enough. I put the book away for a while, and one day a better idea finally emerged and I rewrote the ending. The love scenes were difficult too, trying to make them romantic without being too graphic. Of course, I knew I couldn’t please everyone, only myself. What is the most surprising thing you learned in writing your story? I did a lot of research while writing Her Last Letter. One of the things I learned while researching the location for the book, Glenwood Springs, was the probable origin of the Teddy Bear, named after former president Theodore (Teddy) Roosevelt. According to local Glenwood historians, the first Teddy Bear came to be as a result of a hunting expedition in Glenwood Springs that didn’t go well for the president. I didn’t intend to write a message, just what I hoped would be an entertaining story. Looking back though, I think one message in the book would be that no matter how much you love someone you can’t change them, or save them. They have to do that for themselves. My character Gwyn blamed herself for not seeing her sister Kelly as she truly was, and not being able to do more for her. How long did it take you to write, Her Last Letter? The first draft took me about 5-6 months, fast for me. But then I rewrote the novel, changing it from the 3rd person to the 1st person, based on the advice of a professional editor. I also added and deleted sections, including completely reworking the ending. I would say I put at least a year and half into the project. I’ve been writing a sequel to Her Last Letter on the advice of my agent. It is close to completion, though again I am struggling to give it the best ending I can manage. I do have something in mind. I’m just hoping it will work as well as I think it will. I also plan to rewrite my very first novel and get that out in the not-too-distant future. I’ll, of course, revise it as needed. I did rewrite the second of my previously written novels. It is out as an e-book and titled, Twice Cursed. It is more Stephen King-ish. (I was reading a lot of Stephen King and Dean Koontz back then. And of course, I still enjoy their books!) I wrote Twice Cursed for readers who enjoy both romantic suspense and horror. It would be difficult to pinpoint one or two books. One of the first books I remember reading as a child was Charlotte’s Web. I cried reading that one, and viewed spiders differently from that day on. I also enjoyed the Nancy Drew Mystery Stories. Jane Eyre was a favorite novel, along with The Haunting of Hill House, and Gone with the Wind. I also read many books by Charles Dickens, Sir Arthur Conan Doyle, and George Orwell. I love Ira Levin too, and especially enjoyed his A Kiss Before Dying, along with Rosemary’s Baby, Stepford Wives, The Boys from Brazil, and his other works. I enjoy reading and rereading Sue Grafton and Mary Higgins Clark. Lately I’ve been reading more self-published novels, and I am more than impressed at the quality and entertainment value of each one. My Kindle is jam-packed! 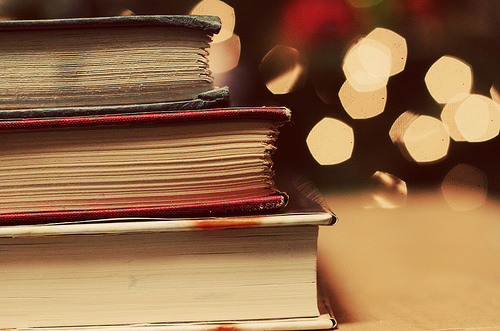 Each and every book I’ve read over my lifetime has taught me something, and influenced how I live my life. I would say to enjoy the process, and write what you love! Of course, writing is hard work, so you won’t always love it, and some days you really won’t love it! I would get some basic training, take writing classes, read books on the subject, and just read a lot in general. Reading itself teaches you so much! Rejoice that today we have so many options, so many ways to reach readers, and to publish our books. I envy those just starting out. I wasted countless years trying to gain the attention of big publishers. I came closer than most, found a great agent early on, but still didn’t get that elusive first contract. So much of it is luck. Do your best, but whichever way you choose to go, enjoy the journey! Thank you so much for this blog interview! Nancy is a resident of Michigan, and has been writing for many years. She is married and has one daughter, Angie, a graphic designer who helped her to publish her debut novel, Her Last Letter. (Angie also designed the beautiful cover!) The book became a top-hundred bestseller as an e-book on Amazon, and eventually a New York Times and USA Today bestseller. We are delighted that Stephanie has chosen to interview Nancy Johnson who is the author of Her Last Letter, one of our medallion honorees at http://www.bragmedallion.com. To be awarded a B.R.A.G. MedallionTM, a book must receive unanimous approval by a group of our readers. It is a daunting hurdle and it serves to reaffirm that a book such as Her Last Letter merits the investment of a reader’s time and money. Thank you Nancy & IndieBRAG for this wonderful interview! With Edward II (poor guy) out of the way, Mortimer (the horrid man) and Isabella (I still wonder about her) now rules England. Isabella’s son, the King, Edward III (hope he turns out good), is now a young man and wants to rule England. His rightful place. Meanwhile, Sir John Swale (my hero) and Elizabeth Clinton (lovely lady) are in exile and Swale wants to return home to England. The King Stag is a fantastic lead up to Exiles (The John Swale Chronicles) #3. The character building is fantastic! There is a lot of action in every corner! David wonderfully portrays Medieval England, the royal family and court life. Castles and sword fighting, and royal intrigue! What’s not to love? 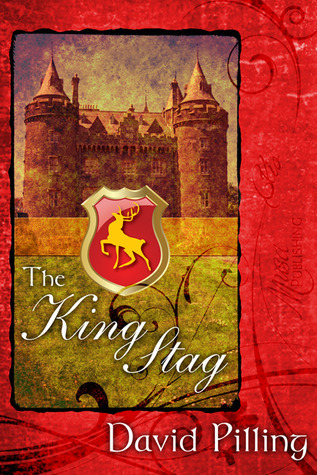 I highly recommend The King Stag! 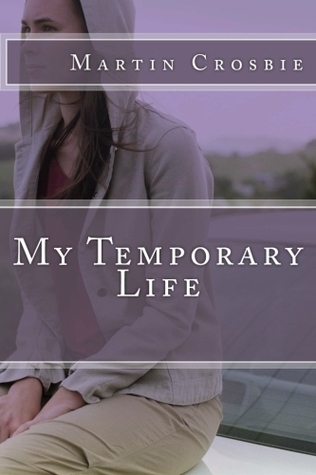 My Temporary Life by Martin Crosbie will tug at the heart strings of all who read it. In his debut novel Crosbie has written a coming of age story that shows how not only the main character, Malcolm Wilson but those in his life, can rise above neglect, abuse, and bullying. I enjoyed reading the story and getting to know the characters. My Temporary Life is set both in Scotland and in Canada so it was interesting for me to read about the differences between the two countries from the way the natives talk to the way they dressed, to the way the landscapes and the buildings look. Crosbie did a great job of really putting the reader into the story. Overall, My Temporary Life, was a compelling story some parts of the story were a little slow for my taste but there were parts that I couldn’t stop “turning the pages”. Malcolm Wilson wants to be the hero of his life and struggles throughout different situations to do just that. Malcolm shows the reader that no matter what hand that life deals you there is a way to rise above your circumstances and to help others. Malcolm proves to be the hero by the end of the story and also shows the reader that no matter how “temporary” a situation may be, you never forget where you come from or where your home is.